When one is involved in a field of science it’s both thrilling and gratifying to actually complete a peer reviewed research paper published after a lot of hard work. Not all scientists attain such an achievement, particularly ones without a doctorate, so I was very humbled to be part of such a knowledgeable team. 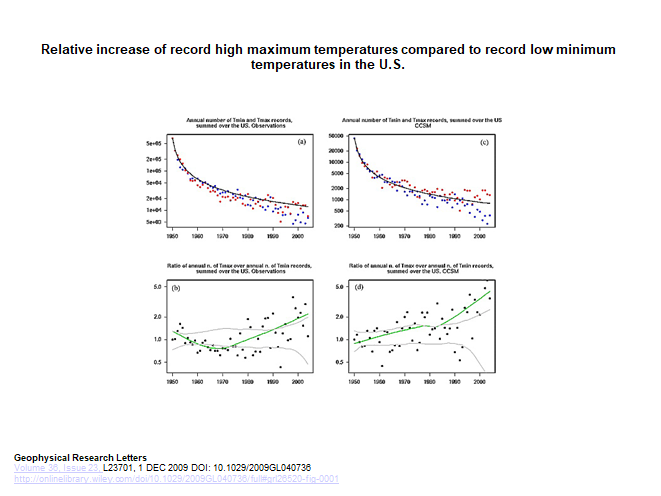 Essentially the biggest finding published in 2009 was that there was a 2 to 1 ratio of record daily high maximum temperatures to lows. The study also began to focus on how extreme temperatures associated with weather, both cold and hot, will behave in a warming world due to carbon pollution. We know that the chances for seeing record heat is now twice that of record cold at about +1.0C above preindustrial conditions, which is the current temperature departure from 19th century averages planet wide. We are now trying to determine ratios at +2.0C and, God forbid, +3.0C and up. This is important in association with the realm of determining how much of the planet might be uninhabitable, particularly If we cross that all important +2.0C threshold. 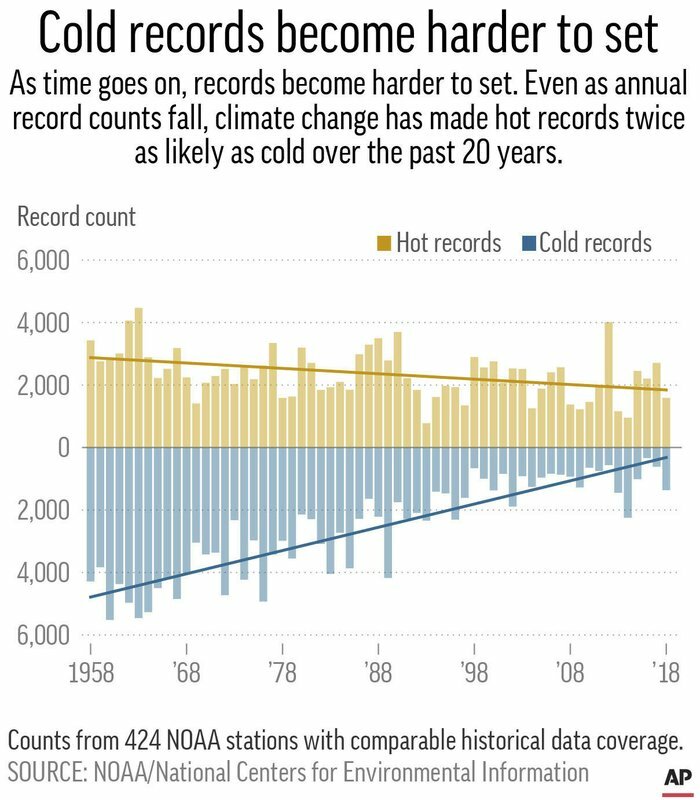 By 2019 we are finding that the number of occurrences of record lows are decreasing with those of record maximums holding about steady as predicted in 2009. Any climate change deniers should give pause here in the face of a scientific study and forecast that is verifying. 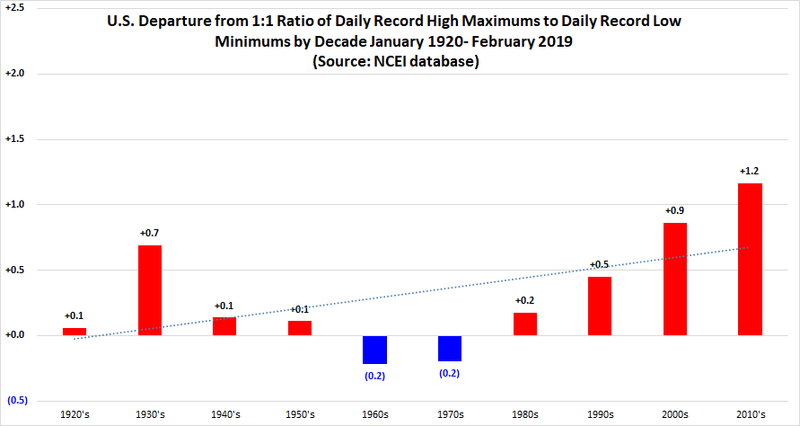 I’ve found that the ratio of record daily maximums to minimums is slightly below 2-1 for the 2000s and above for the 2010s. We have defiantly seen a big warming trend since 1980 despite numerous frigid, life threatening cold waves. Extremes in temperatures continue to occur, just not as many cold as predicted by the study. 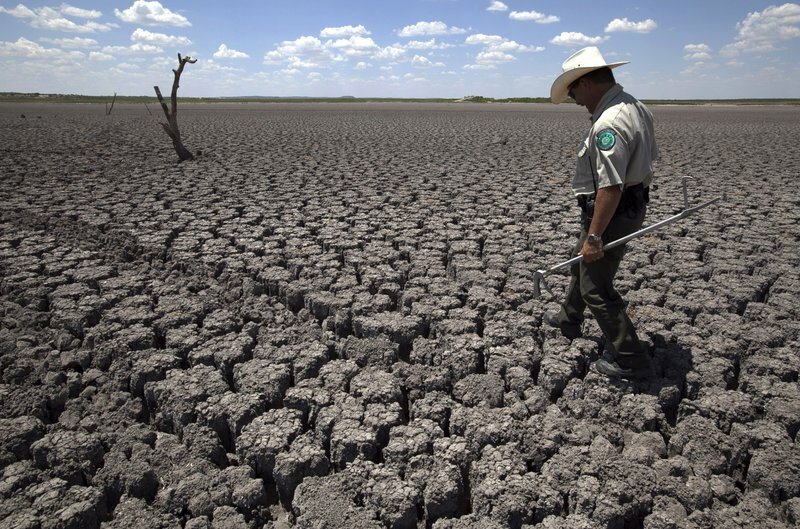 Record heat will be a big problem in the future, which cannot be denied.